Champion Palace is an ideal combination for pocket-friendly and classic experience with its creative and modern outlook. The hotel is suitable for various travelers with friendly staff at the service all the time. 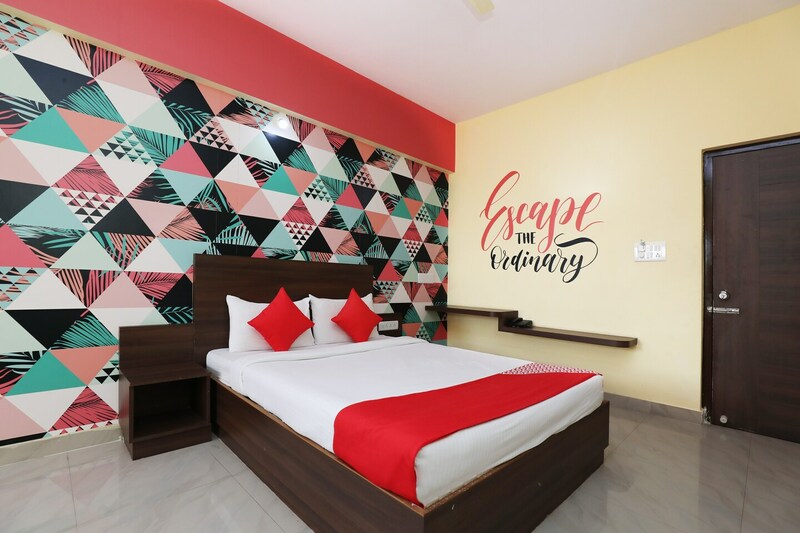 The spacious rooms with modern abstract wall design and graffiti surround the room, makes the place charming and fun to stay in. The Guests can avail the facility of free Wi-Fi to connect with the internet for all the latest updates. Other facilities at the hotel include CCTV cameras and card payment options. The guests can indulge in local cuisines in various restaurants around the place. Iskcon Bangalore, Sri Magaji Dhondusa Munna Bai Kalyana Mantapa, and Sri Gavi Gangadhareshwara Swamy Temple are among the few tourist attractions near the place.